Study the house's history, choose the right approach, and integrate modern touches with care and caution. In a previous toolkit series, we walked you through the steps of finding and buying a historic house. Now the search is over, and you're the proud owner of a new old home. Congratulations! Sooo ... now what? As you'll find out, historic homeownership brings with it a unique set of questions, decisions, and goals. Let's address one of the most basic questions first: Should you restore or rehabilitate your house? Your decision will influence the house's finished character, the project cost, and the amount of time it takes. It will also impact how much of the work you take on yourself and how much you'll hand off to professionals. 1. Identify the factors that will shape your decision. Deciding whether to restore or rehabilitate your house, and to what extent, involves understanding its history; its architecture; and the present condition of its materials, finishes, and systems. You should also consider your household’s lifestyle and what personal needs the finished house must accommodate. More broadly, local historic district designations, local building codes, property insurance, and other regulatory or financial considerations will impact the path you take. 2. Review the house’s history. Who lived in the house and when? Did important events occur there? Did either (or both) scenarios have historical significance? 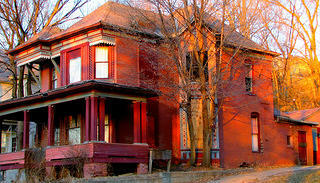 If so, you could consider restoring the house to that period to help interpret its history. 3. Know what “restore” means. To restore a house means to return its interior and exterior appearance to a particular date or time period. Strict restorations—ones that eliminate everything not present during the period chosen—are rare for homes, with most owners opting to maintain modern systems (plumbing, anyone?) and sympathetically designed changes, such as later additions, that add to the house’s history. 4. Know what “rehabilitate” means. To rehabilitate a house means to make it useful and functional for contemporary living while preserving important historic and architectural features. For example, a rehabilitated old house would always include modern electrical, mechanical, and plumbing systems, a modern kitchen, and other attributes typical of present-day homes. 5. Choose your approach. The major difference between restoring and rehabilitating is to either exactly duplicate a particular period or concentrate on preserving a sense of the changes that have occurred over time. For example, if an Italianate-style house had lost its wood eave brackets, a restoration project would duplicate them in wood as they originally appeared, while a rehab project would add new brackets of a compatible design in an appropriate substitute material (ex. fiberglass). 6. Evaluate existing alterations. Consider the quality, design, materials, and craftsmanship of the original house as well as the changes that have occurred over time. Compatible interior and exterior changes of the same or better quality than the original house, even if done in different styles or materials, should probably be kept and restored. Conversely, you should probably remove any poorly designed or executed changes. 7. Design new additions and alterations with attention to detail. When adding to or altering your home, consider its scale (apparent size), actual dimension, and massing (proportion/balance). Use materials, textures, and colors similar to those of the original building. 8. Integrate modern touches with care and caution. The key to a quality rehabilitation is how well it accommodates modern technologies and living styles. Keep changes non-intrusive and compatible with the house’s design and style, and don’t let alterations destroy or cover historically or architecturally significant features or materials. 9. Take care not to falsify the history of the house. This might seem counter-intuitive, but you actually do want to be able to tell additions apart from the original. That way, the house’s history is visible and transparent. Also be careful not to design additions that make the house appear to date from an earlier or later period, or alter the house’s details to an extent that suggest a different architectural period. 10. Look to the experts. For a more detailed list of recommendations, check out the Secretary of Interior’s Standards for the Treatment of Historic Properties. This jam-packed resource from the National Park Service includes guidelines on preserving, rehabilitating, restoring, and reconstructing historic buildings. There’s no right or wrong answer when it comes to determining whether you should restore or rehabilitate your historic home. Let your property, capabilities, and needs help guide your decision, and chances are you’ll arrive at an accurate, appropriate solution.